It’s the middle of the week. Hump Day, as we so affectionately and sophomorically call it. It only seems fitting then that we should be halfway through our week of TATRATEA reviews. Even more fitting that right in the middle of the line (going from least boozy to most boozy) is none other than the 52% Original Tea Liqueur. This is the big boy that got the entire TATRATEA line started, and still remains its most popular iteration. Alcohol right up front. There’s almost a whiskey like quality to the first whiff. You can tell the alcohol content is starting to push into the higher regions. The tea trails off on the behind, with a distinct herbal smell. Spiciness right up front with an almost berry-like flavor. The herbal notes are stronger than ever, pushing almost into HARLEM territory. The black tea comes along on the back end once again. It coats the mouth with a nice warmth. You don’t lose much of that up-front spice, which is a good thing. The sweetness becomes much more pronounced and some of the after-bite is taken back. 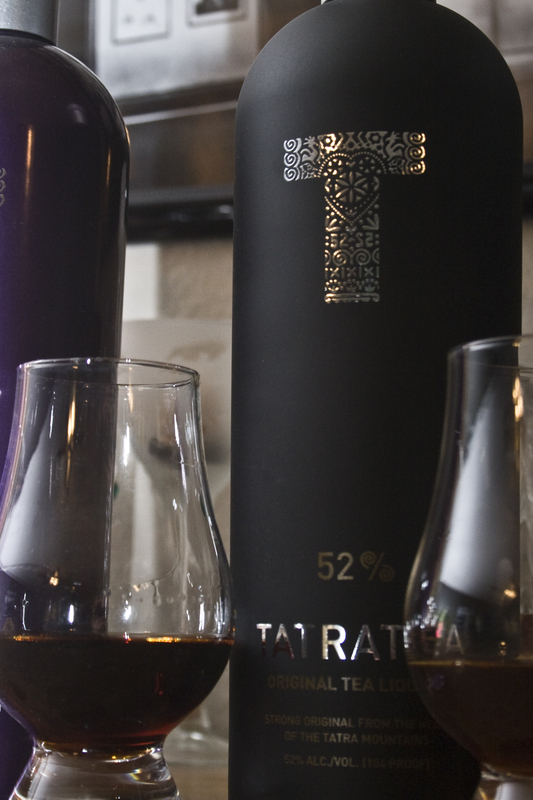 We figure it’s only fitting that we should prepare the TATRATEA Original as it was… well… originally meant. That is, in tea. Pour the TATRATEA in an Irish Coffee Mug and then top with the hot tea and serve. You couldn’t ask for a better way to chase away the chills of early spring cold snaps. 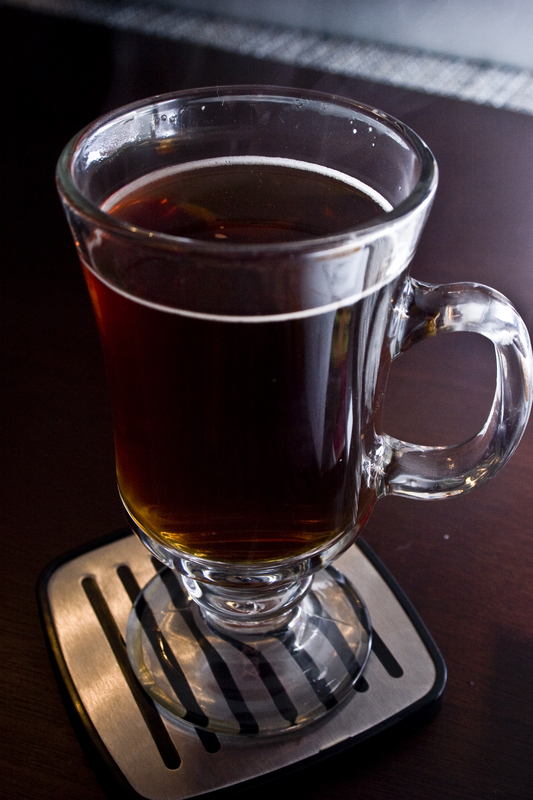 The sweetness and strong tea flavor of the Original plays well with a long-steeped black tea. It’s sweat, but hearty and warms the cockles of the heart. A must, we would imagine, for the brutal winters of Slovakia.